I love my New Mums group! I feel really blessed right now to have such a wonderful 'New Mums' group. When Ezra was 8 weeks old we headed off to our new Mum's group, a five week program run by the local Child Health Nurse. We all turned up a little bit disheveled and tired, still trying to figure out these new babies, but it was OK, because we were all in the same boat. After the five weeks, we decided to keep meeting, we head down to the beach once a week and just hang out. There are about 16 of us, and it is so encouraging to hang out with other Mums who are in the exact same position. Another benefit as well is that many of them live within walking distance of my house, so we can just stroll down to the local cafe for a quick coffee or tea together between nap times. Many have fly in fly out partners so the group is such a good way for them to have an outlet and a bit of sanity in their week. I really love my group, I still am getting to know they other Mums, but I just feel like it is such a positive and important thing for me. I look forward to going and catching up, and seeing the massive changes in each baby on a weekly basis. We discuss parenting ideas, and ask for help dealing with certain problems, and just get to know one another. It is always nice to know your not alone, and that you have a great support group around you. I think this is one Government initiative that is so positive, it makes many Mums feel that sense of community, I feel like I can walk around my suburb and bump into people I know along my travels. 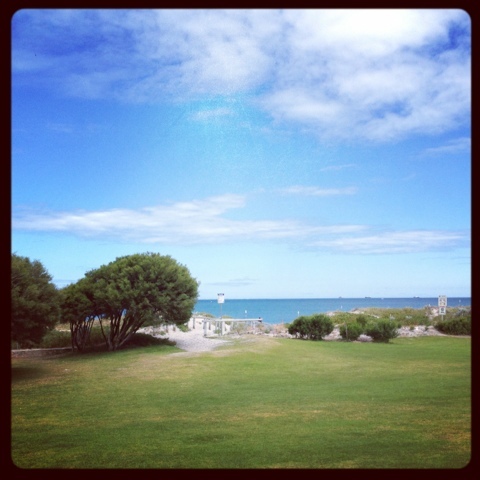 I have no pictures of my group, but above is the beautiful location where we get together, it is so relaxing! 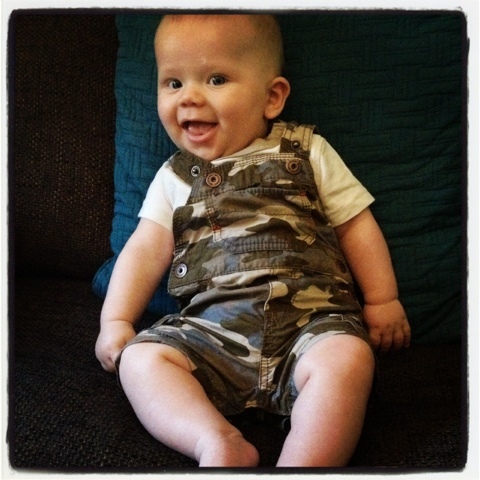 I also added this awesome picture of Ez in his Camo outfit I just got for him. It may be a little too much.. but its soooo cute! 2 comments on "I love my New Mums group!" I wonder how it should be good to meet and talk in a place like this. What a beautiful sky! Your baby is so cute and so is your doggie! I'm the Mum of a What?